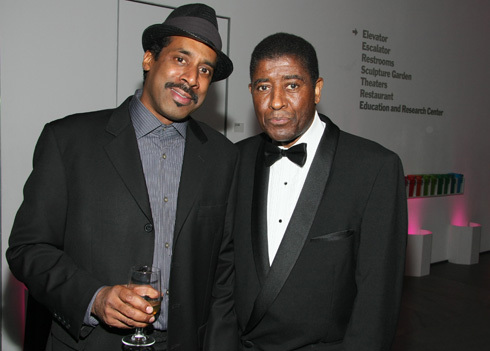 Fellow artist and friend, Nari Ward ( left ) and William T. Williams. We are sadly unable to make it to the opening of Nari Ward's exhibition at Château de Blandy-les-Tours, France, this weekend, however, we are sending him positive vibes and nuff respect! Ward is a Guest artist of the Blandy Art Tour, which annually invites an international artist to interact with the medieval castle architecture.